Hunter Savoy Ceiling Fan - Elegant Design - Brushed Nickel 52"
The Hunter Savoy ceiling fan features an elegant, timeless design with five timber blades and an uncluttered motor. The Savoy is known in the Hunter range as a chameleon that can top off any decor. It is light and remote adaptable. 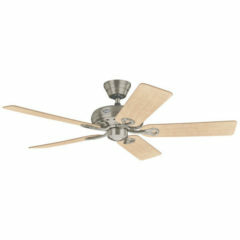 The Brushed Nickel Savoy ceiling fan has reversible timber blades. Choose to display either cherry or maple. Featuring five reversible timber blades, an AirMax™ Motor and a WobbleFree canopy, the Hunter Savoy is an elegant traditional ceiling fan backed by a prominent brand. 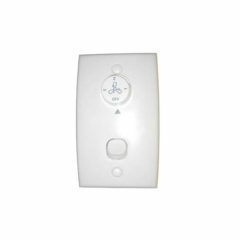 The Savoy ceiling fan is pull cord operated as standard and is light adaptable – see below for light options and alternative listings for wall control and remote packages. It features Hunter’s patented AirMax™ motor with internal impellers, a WobbleFree™ canopy with Anti Vibration Technology and triangular hanger ball system giving it the ability to self-balance, eliminate wobble and perform smoothly. A 64W motor with heavy gauge copper windings, laminations, precision sealed bearings, and multiple cooling fins, all in a die cast aluminium housing ensure the fans durability. The Hunter Savoy ceiling fan features an elegant, timeless design with five timber blades and an uncluttered motor. 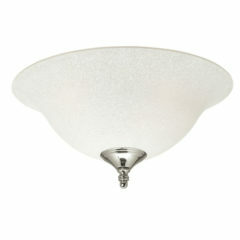 The Savoy is known in the Hunter range as a chameleon that can top off any decor. 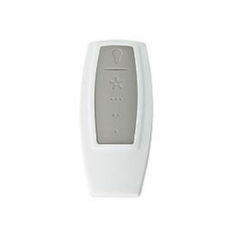 It is light and remote adaptable. 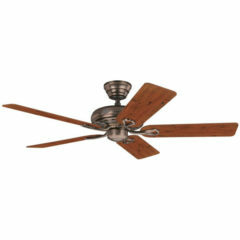 The Amber Bronze Savoy ceiling fan has reversible timber blades. Choose to display either distressed cherry or mahogany. The Hunter Savoy ceiling fan features an elegant, timeless design with five timber blades and an uncluttered motor. The Savoy is known in the Hunter range as a chameleon that can top off any decor. It is light and remote adaptable. 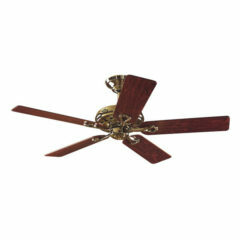 The Antique Brass Savoy ceiling fan has reversible timber blades. Choose to display either rosewood or medium oak. The Hunter Savoy ceiling fan features an elegant, timeless design with five timber blades and an uncluttered motor. The Savoy is known in the Hunter range as a chameleon that can top off any decor. It is light and remote adaptable. 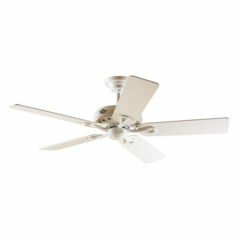 The White Savoy ceiling fan has reversible timber blades. Choose to display either white or light oak. The Hunter Savoy ceiling fan features an elegant, timeless design with five timber blades and an uncluttered motor. 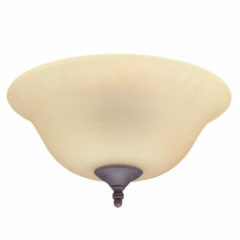 The Savoy is known in the Hunter range as a chameleon that can top off any decor. It is light and remote adaptable. 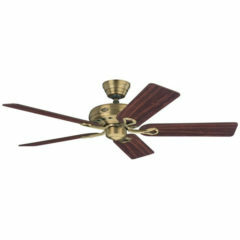 The Bright Brass Savoy ceiling fan has reversible timber blades. Choose to display either rosewood or oak.